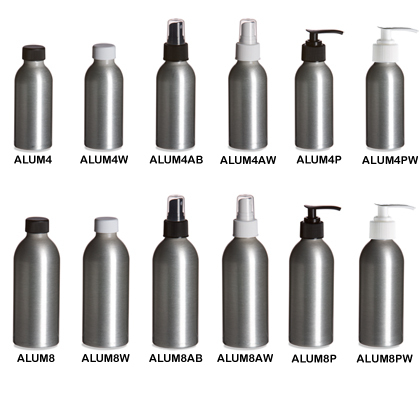 Create an eye catching look for your premium product with brushed aluminum bottles. Made in the USA, these bottles have a fine brushed finish and are some of our most durable containers. They are fully recyclable, shatterproof and provide 100% UV protection for light sensitive products. All prices include applicable closure.